The Sunset Music Festival lineup is out! 4B, Blunts & Blondes, Decadon, Dion Timmer, DNMO, Droeloe, GG Magree, Holly, Illenium, Oliver Smith, Phantoms, Tchami, Yael, Zedd, and Zeds Dead and more all top the phase two lineup announcement! 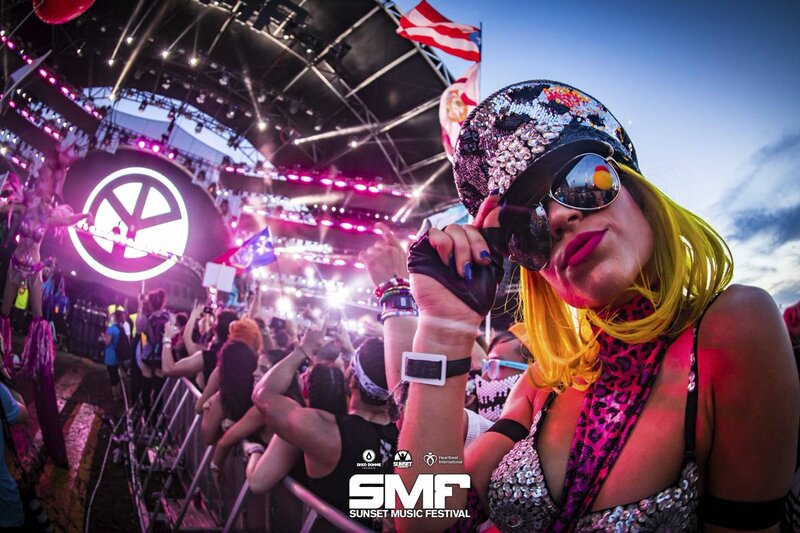 Sunset Music Festival 2019 is done by promoter Disco Donnie, and offers a variety of electronic music like House Music, Dubstep, Trance and more! Tickets are on sale now, with General Admission, Plus and VIP options! Dog Blood, Kaskade, 12th Planet, Rusko, Alison Wonderland, Audien, Destructo, Chris Lake, Dombresky, Gabriel & Dresden, Ganja White Night, Will Clarke all topped the phase one lineup. 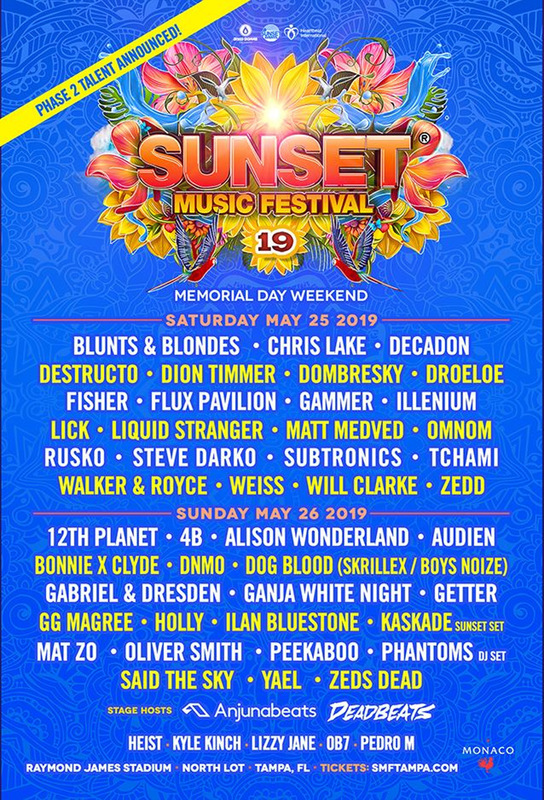 Now in its its eighth consecutive year, Sunset Music Festival draws crowds of more than 60,000 and has become a go-to festival for the EDM jet set on Memorial day weekend. 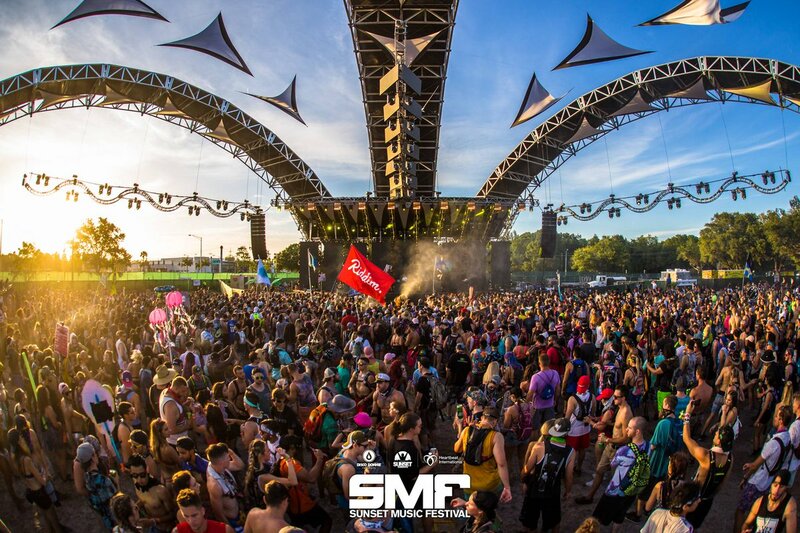 The Sunset Music Festival dates are May 25 - 26 in the North Lot of Raymond James Stadium in Tampa, Florida! 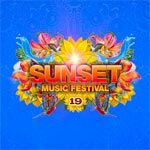 The Sunset Music Festival 2019 lineup is out and Sunset Music Festival 2019 tickets are below! Sunset Music Festival Festival tickets are on sale! There are General Admission, Plus and VIP options! The Sunset Music Festival schedule for 2019!